The world today is in trouble – big trouble - politically, economically, socially, and morally. What has gone wrong? 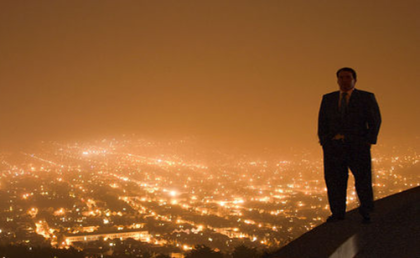 There are no easy answers because the problems are complex but I do know that the analyses offered by the ‘experts’ are little more than descriptions of the disease – lust for power, greed for money, reliance on force, apathy fostered by materialism, disrespect for human life – a disease over which they are powerless. As any doctor will tell you to treat symptoms alone is a sure way of allowing the malady itself to progress until all too often it becomes terminal. This simple logic which stares us all in the face somehow escapes our political leaders and this incapacity to see connections, to think logically, to join the dots to the core of the problem is another sad symptom of our dysfunctional leadership. – a series of five sayings: verses 41 – 48. Modern bible scholarship has shown that the different sections of a gospel passage were often written at different times and their juxtaposition may be a matter of chance. But coming to a passage in faith, we take it that divine inspiration brought the sections together, and therefore look for the inner logic linking them, and also linking the individual sayings. This inner logic is then a Word of God for us. 1. The basic theme of the passage is expressed in the three sayings in verses 43 to 48. Using different images they all say that in order to “enter into life” we must from time to time make the painful choice to renounce something that is very dear to us. – negatively: we are extremely angry against those who put obstacles which bring them down – “they would be better thrown into the sea with a great millstone round their necks (verse 42). Making the connection in this way reminds us that Jesus never gave abstract teachings. His teachings are always his reflections on his personal spiritual journey. Correspondingly, we who receive those teachings see in them the story of his life. Verse 42 is a precious jewel in that it repudiates conclusively the error of contrasting the “vengeful God” of the Old Testament with the “loving God” of the New. This false opposition has bedevilled Catholic spirituality for many centuries and continues to do so today. Both Testaments reveal the one true God who is passionately committed to the cause of his lowly people. Woe to those who keep them down in any way whatsoever! 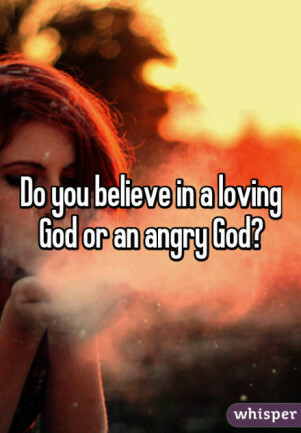 Far from wanting to “curb his anger” (or asking the Blessed Virgin Mary to do it for us!) we enter into his anger (as Mary did in her Magnificat). We must be careful therefore not to “interpret” Jesus’ words in a way which downplays his passion – what our Catholic tradition has called his “righteous indignation”. God’s passionate commitment to the poor spells salvation for us all, even those of us who are oppressors – we will be brought low and so be lifted up. We must identify the “obstacles” referred to by Jesus, starting form our experience. We think of the various things in the world today which prevent the lowly from realizing their full potential – the lack of material goods, of opportunities for education and health, of credit facilities; the lack of a sense of self-worth, of access to sources of grace, spiritual formation. The “obstacles” can be put by individuals or they can be embedded in the culture (English society recognized recently that it suffers from “institutional racism”). They may be caused by selfishness or by social and economic structures. – take the risk of confronting authority in the Church. Jesus, says when you make your choice don’t go for the acts of power and miracles. Don’t get caught up by the razzle dazzle. and eaten by a worm that does not die. or whether we are personally popular or influential. we know that those who are not against what we stand for are for us. and feel anger at those who put obstacles which bring them down. .
– the biblical renewal arose among other Christian churches. 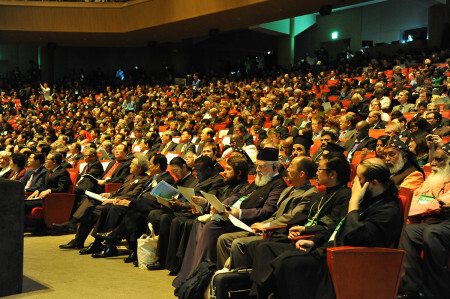 The World Council of Churches committed itself to ecumenism long before our church joined in. and that those who are not against you are for you. and therefore are entitled to have a cup of water to drink. – the patronage of the powerful. we will not be afraid to throw it into the sea with a great millstone around it. eaten by the worm of jealousy that never dies. – those who feel isolated because they neglected their neighbours who were poor. the fire that never goes out and the worm that does not die. 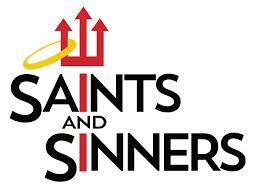 We gather here as a community, but we are not a club. A club is a group of like-minded people who see themselves or their interests as distinctive from others. We are a community whose deepest desires are pursued by every human being of good will. Whoever is seeking to do what is right; whoever is seeking peace; whoever is bearing witness to the truth; whoever is caring for the creation; whoever is helping the poor – with all these we make common cause and, gathered here, we commend them to our heavenly Father. We desire to accept Jesus’ inclusive vision that all who are not against us are for us, but know that often we fall short of this calling. 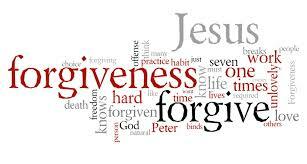 So now let us reflect on how we live as disciples and recognise our need of forgiveness and healing. Today’s lection is made up of two distinct pieces of Mark’s story: first, the incident of ‘the stranger’ exorcist (vv 38-41); and second, teaching on temptations (vv 42-8). The ‘link’ in Mark’s eyes presumably being the reference to ‘his reward’ in v 40 acting as an introduction to various ways by which one could lose one’s reward. However, neither Matthew nor Luke understood Mark’s linking of the two passages as each responded to the two sections differently from Mark (and one another). The first section is by far the most interesting as it gives an insight into ‘open’ attitude of Jesus to the whole work of inaugurating the kingdom (a kingdom that for Jesus is characterised by healing, forgiveness, and restoration, rather than the advent of judgement and retribution). This is the very opposite of a sectarian view: you do not have to join the right huddle in order to be part of the coming kingdom of God. This openness is the antithesis of most of the preaching of the time: the people in Qumran believed one had to go off and live in a separate settlement; John the Baptist preached the need to become associated with the special group that was distinguishing itself from the sinful mass of the people by a baptism of repentance; the zealots were preaching a political sectarianism, the Pharisees a distinctiveness of precise adherence to the law. Now Jesus tells people that the Father’s love knows no bounds and extends to everyone who seeks him and, therefore, this stranger is as much a member of the kingdom as the visible group. This openness was too much for the more sectarian minded in the early church: Matthew simply ignores the incident and then, at a suitable point, has Jesus preach the opposite position (Mt 12:30). The second section is a single piece of teaching expressed through a fourfold repetition of a warning: any amount of physical suffering is better than sin or causing others to sin. It is with these highly visual warnings that Mark rounds off his teaching on discipleship. The examples show how the early church took over the imagery of a place of continual torment, Gehenna (rendered in our translations as ‘hell’), awaiting those who accept a sinful way of life. The most gruesome image is that of ‘where their worm does not die, and the fire is not quenched’ which is a quotation from the final verse of the Book of Isaiah (66:24). In Isaiah, this was read as the final destiny of those who had rejected the reign of God; now the image is invoked as the alternative to discipleship. Placed immediately after the statement about people being rewarded for the smallest acts of mercy (v 40), the combined text has a very particular flavour. On the one hand, the least acts of mercy can bring one into the kingdom of God, but, by contrast, to deliberately lead ‘little ones’ — this refers to the poor and the marginalised, and not simply children — astray leads to death. 1. ‘Inclusiveness’ is a modern virtue! We are told of the importance of ‘inclusive language,’ sales people and politicians stress that all references to people must be ‘inclusive’: we are this, we are that, and we are moving forward. As soon as any person or group is not ‘in the loop’ or consulted or mentioned, then there is trouble. 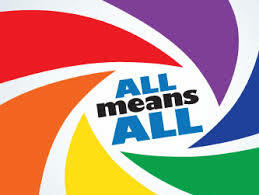 Every decision must be inclusive because if someone or group is excluded, then there will be trouble. In this simple world nice people are inclusive and nasty people are exclusive. But this desire to be inclusive is often only a facade, a marketing ploy, or formulaic adherence to political correctness. 3. Exclusion as a tool within society is deeply programmed into us. The tribe is defined by the people who-do-not-belong. Then they become’the others’ and because they are not’with us,’ they are opposite us, and so they can easily be seen as opposed to us, and a threat. The others must be kept in place, they must be controlled, excluded from power, made subject to us and, if necessary, be destroyed. Exclusiveness is ideal as a means of making us united, but then can often destroy us in the conflicts and wars that it makes possible. How many leaders down the centuries who, when they found themselves without any positive vision with which to lead a people, turned to exclusiveness and preached the fear of others, and held sway by the threat of the others. 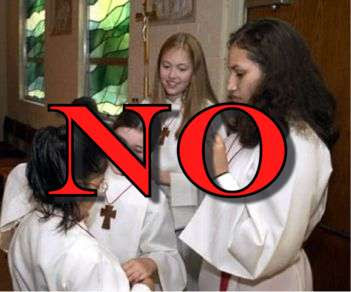 No altar girls wanted here! 4. We can see this demonising of ‘the others,’ the pernicious attitude that only ‘we’ are OK / saved / normal, in the way countries are run (e.g. apartheid), in the way churches are run (e.g. sectarianism), or how some club or association is run (there must be careful ‘screening’ of who joins the residents’ association lest the area’s value be undermined). We see it at work in today’s gospel: someone was doing the same things as the disciples, but because the person was not inside the group, then he was a threat; therefore he was to be stopped. 5. The reply of Jesus clearly shocked them: he who is not against us is for us. This is the very opposite of exclusiveness, this is true inclusiveness — not simply a facade to make an impression. This is the inclusiveness that is based in the infinity of God’s goodness and love, and it is that openness and generosity that we are called to imitate. 6. Sadly, it was just too shocking for the disciples, and the record of the churches ever since has not been very honourable. It shocked the first followers because it was reversed in Matthew (12:30) to become: ‘He who is not with me is against me!’ Matthew wanted a neat little world where people’knew where they stood’ and if they were not with Jesus, then they must be against him. Matthew’s clarity is all too human; Mark’s statement could only come from someone who fully embraced the world with love. And, the church has been closer to Matthew than to Mark: we are very good at noting who does not belong, who should be excluded from communion, who is to be seen as a threat. Equally, we have been very good at dividing up the Body of Christ into exclusivist sections: clergy — lay; those with ‘authority’ and those who are supposed to be led. An inclusive love that sees each Christian, indeed each human, as someone called by God to participate in the growth of the kingdom seems utopian. Yet, it is just such a communion of love that we, as the church, are to model to faction-riven humanity. 7. Today’s gospel calls all of us to examine our behaviour. Does it reflect inclusive love: anyone who is not against us is with us; or, is it that all too human exclusivist vision: anyone who is not with us is against us? 8. In that shift in perspective lies the difference between religious observance as an aspect of human life and true discipleship of Jesus. At first glance this collection of sayings do not appear to have a lot in common but in fact everything here is a challenge to those who claim to follow Christ to pay attention to their attitudes and motivation. This is because they have been given an awesome responsibility and they must not presume they are somehow superior to others. Jesus first corrects John for stopping someone doing the work of the kingdom because he is ‘not one of us.’ There is no on place for elitism among his followers and indeed anyone who shows them a simple kindness will be blessed. This means that there is an onus on the disciples to reflect the work and attitudes of their master. Just as he reached out to the sinners and outcasts so must they – failure to do so will result in harsh judgement because they will be undermining the very project they are called to serve. This is why they must avoid anything that would lead them to sin. The true disciple will be the one who knows how to rejoice in the good that is done by whatever source and who also knows that his or her own behaviour can make it hard for others to come to faith. 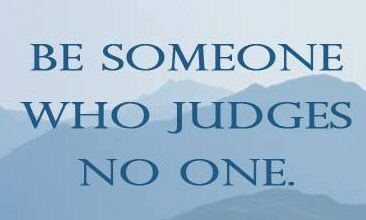 The lesson here is to examine ourselves and to judge no-one else! Two aspects of what might be called worldly thinking are challenged in the first and second readings. It is often the case that people with power and authority will guard it jealously and exercise it in a way which promotes their status more than it actually serves others. 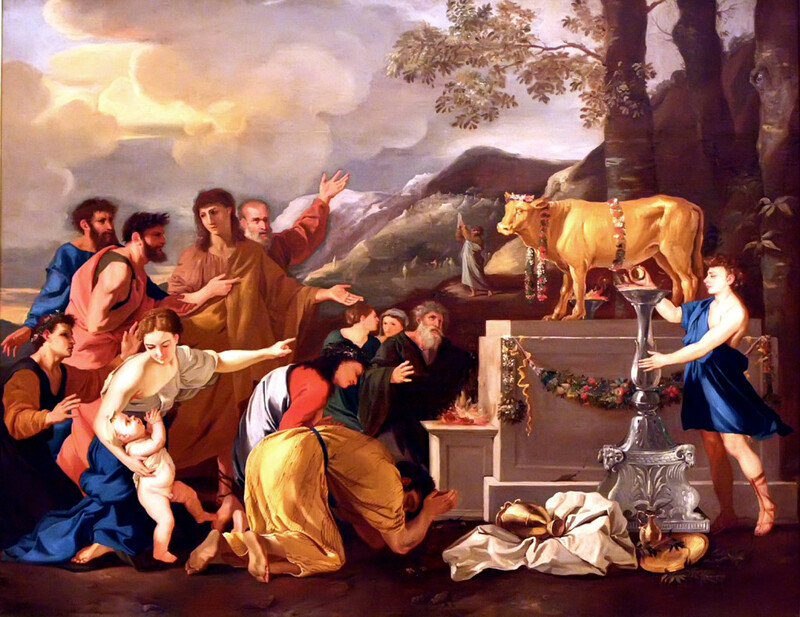 It is this behaviour which is shown to be at odds with what God wants in the Book of Numbers. 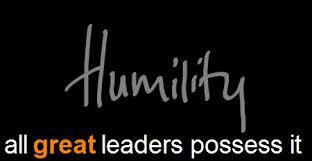 Joshua has to learn that leadership is about service and Moses as a true leader has the humility to teach him. So too in the Letter of James the worldly view that wealth brings freedom to live our lives exactly as we would like is knocked on the head. We are only travellers and we should always live with an eye to our final destination. As we have seen throughout Mark’s Gospel, the people of Jesus’ time held great stock in the existence of demons: whatever mental illness or physical infirmity they could not understand was caused by some “demon.” It was also the belief that a demon could be exorcised if one could invoke the name of a still more powerful spirit to order the evil and unclean spirit out of a person. The “millstone” Jesus speaks of is the large piece of stone that is turned by a pack animal to grind grain. Drowning a criminal by tying him to one of these large heavy stones was a method of execution in Rome and Palestine. Gehenna was a vile place in Jewish history. The young King Ahaz (2 Chronicles 38: 3) practiced child immolation to the “fire god” at Gehenna. In Jesus’ time, Gehenna, a ravine outside Jerusalem, served as the city’s refuse site. Gehenna became synonymous with our concept of hell for the Jews. Jesus promises us that even the simplest act of love or kindness – the Gospel “cup of water – will one day be honored by God. Anyone and everyone in need have a claim on our compassion and charity because they belong to Christ. In whatever opportunities we have, with whomever we meet and are able to help, may we not hesitate to act in Jesus’ name. To share our faith with our children is both a great joy and great responsibility of that faith. Anyone and everyone in some kind of trouble or need have a claim on our compassion and charity because they are dear to Christ. Discipleship begins with a spirit of humble gratitude to God for the gift of our lives that trumps our disappointments, regrets and anger over the things that have not turned out as we hope. To be faithful to the call of discipleship means letting nothing dissuade us or derail us from our search for the things of God, not allowing the pursuit of prestige, wealth, social status or immediate gratification to desensitize us to the presence of God in our lives or diminish the love of God we cherish in family and friends. There’s us — and there’s them. We know the truth. They don’t understand; they’re ill-informed. Don’t ever question our good intentions, our values, our patriotism. But watch out for them. You can trust us — but be afraid of them. We welcome all — with our doors locked. We’re all created equal — but some of us are more equal than others. We are all children of God — but we’re God’s favorites. We’re the people of God — we pray for them. The first reading tells us how the spirit of prophesy was given to Moses the leader as well as to seventy elders. But the spirit was also given to two outsiders Eldad and Medad, who begin to prophecy and this seems to cause a problem. Joshua wants God’s spirit to be exclusively for ‘insiders,’ those who belong to the group. Moses on the other hand knows that God’s gift is for everyone. When God chooses us and blesses us it is not for ourselves but for others. No one has rights over God! Nor is God bound to act only through any particular individual or group. God is free and his gifts have no exclusive price tag! A few years ago, at the Seattle Special Olympics, nine contestants, all physically or mentally disabled, assembled at the starting line for the 100-yard dash. At the gun, they all started out, except one little boy who, tumbled, and began to cry. The other eight heard the boy cry. They slowed down, then all turned around and went back......every one of them. One girl with Down's Syndrome bent down and kissed him and said, “This will make it better." Then all nine linked arms and walked together to the finish line. Everyone in the stadium stood, and the cheering went on for several minutes. People who were there are telling the story. Why? Because deep down we know this one thing: What matters in this life is more than winning for ourselves. What matters in this life is helping others win, even if it means slowing down and changing our course. In the Gospel we have a situation that parallels the one in the first reading. John complains to Jesus that there is a man who is ‘not one of us’ who is casting out devils in the name of Jesus. He asks Jesus to forbid the use of his name. Jesus’ reaction is just the opposite. “You must not stop him: no one who works a miracle in my name is likely to speak evil of me. Anyone who is not against us is for us.” The disciples like to think of themselves as the inner circle, Jesus is theirs and only they can cast out devils in His name. Again Jesus confronts their way of thinking and ours. God gives freely his gifts to whomsoever he chooses. No one has a hotline to Jesus, he is available to everyone saint and sinner alike! The power is in His name and not in us. Jesus in fact encourages us to use His name, to use His power. The good news in today’s Gospel is that no group has monopoly over Jesus. Because we are Catholics, Christians, Charismatics, or priests or religious does not make us better than our Hindu, Muslim or non-Christian brethren. Membership in the Church, should not be counted in terms of perks and privileges but rather in terms of responsibilities. The last part of the Gospel reminds us that being responsible followers of Jesus will involve making choices and these will be painful. We cannot compromise our faith and values. Are we ready to sacrifice, to cut off whatever comes in the way of our being his true disciple? If there is something in our lives that lessens Christ’s life in us or in our family or community are we ready to surrender it to the Lord? Christianity is not about special membership bonuses, exclusive deals and cost-free guaranteed right to heaven! Christianity is rather about breaking down barriers and building bridges to and for Christ no matter what the cost! We all have our prejudices, our blinkers that prevent us from seeing God working in strange and wonderful ways that are different from the way we see things. Each day a king sat in state hearing petitions and dispensing justice. Each day a holy man, dressed in the robes of a beggar, approached the king, and silently offered him a piece of very ripe fruit. Each day the king accepted the fruit and handed it to his treasurer who stood behind the throne. Each day the beggar, again without saying a word withdrew and vanished into the crowd. This ritual went on endlessly. Then one day months later after the beggar appeared, something different happened. A tame monkey, having escaped from the woman’s apartment in the inner palace, came bounding into the hall and leapt up on to the arms of the master’s throne. The poor beggar had just presented the king with his usual gift. But this time, instead of passing it on to his treasurer, as was his usual custom, the king handed it over to the monkey. When the animal bit into it, a precious jewel dropped out and fell onto the floor. The King, amazed, quickly turned to his treasurer behind him. “What has become of all the others?” he asked. But the treasurer had no answer. All the time he had simply thrown the unimpressive gifts through a small upper window. He hadn’t even unlocked the door, so he excused himself and ran quickly down the stairs and opened the courtyard. There on the floor, lay a mass of rotten fruit in various stages of decay. But amidst this garbage lay a heap of precious jewels. –Do we recognize the daily gifts God gives us? In the 1930’s, a young traveller was exploring the French Alps. He came upon a vast stretch of barren land. It was desolate. It was ugly. It was the kind of place you hurry away from. Then, suddenly, the young traveler stopped dead in his tracks. In the middle of this vast wasteland was a bent-over old man. On his back was a sack of acorns. In his hand was a four-foot length of iron pipe. The man was using the iron pipe to punch holes in the ground. Then from the sack he was carrying, he would grab an acorn and put it in the hole. Later the old man talked with the traveller and told him, "I've planted over 100,000 acorns. Perhaps only a tenth of them will grow." The old man's wife and son had died, and this was how he chose to spend his final years. "I want to do something useful," he said. Twenty-five years later the now-not-as-young traveller returned to the same desolate area. What he saw amazed him. He could not believe his own eyes. The land was covered with a beautiful forest two miles wide and five miles long. Birds were singing, animals were playing, and wild flowers perfumed the air. The traveller stood there recalling the desolation that once was; a beautiful oak forest stood there now - all because someone cared. A story of seeing hidden possibilities is told about Michelangelo working in his studio when a young boy interrupted him while he was chipping away with his mallet and chisel on a huge shapeless block of granite. The boy asked the sculptor what he was doing. Michelangelo told him, “Can’t you see it?” He had picked up the boy and stood him on the workbench. “There’s an angel trapped in this rock. I’m chipping away all the pieces that are not the angel so I can set it free.”-Jesus is the master craftsman who sees and sets free the hidden possibilities in every man or woman, boy or girl, son or daughter. In Greek history we read of a young man who so distinguished himself in public games that his fellow citizens raised a statue in his honour, to keep fresh the memory of his victories. This statue so excited the envy of another rival who had been defeated in the races, that one night he stole out under cover of darkness with the intention to destroy the statue. But he only nicked it slightly. He gave it a final heave and it fell – on top of him and killed him. –Envy always harms the one who is guilty of it. 1) "Could you not have tolerated him for just one meal?" There is legend told about Abraham, the grand patriarch of the Jews, in the Mideast. According to the legend, Abraham always held off eating his breakfast each morning until a hungry person came along to share it with him. One day an old man came along, and, of course, Abraham invited him to share his breakfast with him. However, when Abraham heard the old man say a pagan blessing over his food, he jumped up and ordered the old man out from his table, and from his house. Almost immediately, God spoke to Abraham. “Abraham! Abraham! I have been supplying that unbeliever with food every day for the past eighty years. Could you not have tolerated him for just one meal?" We are all children of God, and, hence, we have to love and tolerate everyone, as explained in today’s first reading and the gospel. (Jack McArdle). 2) Gandhi, Mandela, Dorothy Day and Martin Luther King Jr.
With our fallen human nature, we fall victim to the evil tendency of trying to control the Spirit of God by our intolerance. Our own arrogance insists that another is not qualified to speak on justice or morality because of his/her lower educational qualifications, low-grade lifestyle, humble social background or race. As a society, we also tend to question people’s legitimacy – especially when they challenge us. Mohandas Gandhi, a Hindu leader in India, challenged the colonial rule of the British Empire over India with his principles of peace and non-violence. But the intolerant British Empire, initially dismissing him as a “silly, half-naked fakir,” tried to silence him by imprisonment. But later they found, to their horror, that the entire nation was behind him in its fight for freedom from colonial rule. Nelson Mandela was ignored by the minority ruling class and was jailed for many for years as a radical because of his option for the poor and the oppressed in South Africa. Dorothy Day was imprisoned in the U. S. for her beliefs and was accused of being a Communist. Martin Luther King Jr. challenged a nation and its policy of discrimination. He was continually under surveillance by the FBI and was accused of inciting sedition and of being unpatriotic. There are Christians who still look on believers belonging to non- Christian religions and on members of Christian denominations different from their own as heretics and semi-pagans. In today’s gospel, Jesus gives his disciples a lesson in Christian tolerance along with a warning against jealousy and scandal. 4) One person armed with the Gospel of peace can change the world. Telemachus did. He was a monk who lived in the 5th century. He felt God saying to him, "Go to Rome." He was in a cloistered monastery but he put his possessions in a sack and set out for Rome. When he arrived in the city, people were thronging in the streets. He asked why all the excitement and was told that this was the day that the gladiators would be fighting in the coliseum, the day of the games, the circus. He thought to himself, "Four centuries after Christ and they are still killing each other, for enjoyment?" He ran to the coliseum and heard the gladiators saying, "Hail to Caesar, we die for Caesar" and he thought, "this isn't right." He jumped over the railing and went out into the middle of the field, got between two gladiators, and tried to stop them. The crowd became enraged and stoned the peacemaker to death. That act as a watershed - experiences dividing our life into everything "before" and everything "after." The event doesn't have to be devastating or dramatic. Sometimes it is joyful and exhilarating. Sometimes it is a quiet realization. Sometimes it takes decades for us to even determine just when that moment occurred. You have a parent or a sibling die. You are the first in your family to go away to college. You enlist in the military. You have a heart attack . . . but you wake up. Whatever it may be, the event changes your perspective, changes your life's trajectory, changes your dreams, and changes your goals. All is different now. "Before" you lived in one world. "After" you live in a different world. William Barclay, a British theologian, tells the following story in his commentary on this Biblical text. He told a story about someone changing signs. That is, at an intersection of the road, one sign would point to the city of Seattle and another sign would point to the city of Tacoma. And the boy wondered to himself: How many people could I send down the wrong road if I changed the signs? Your very life is a sign post with a sign on it. Are you sending people down the wrong road or the right road? An ancient king once asked his three daughters how much they loved him. One daughter said she loved him more than all the gold in the world. One said she loved him more than all the silver in the world. The youngest daughter said she loved him more than salt. The king was not pleased with this answer. But the cook overheard the conversation, so the next day he prepared a good meal for the king, but left out the salt. The food was so insipid that the king couldn't eat it. Then he understood what his daughter meant. He understood the value of salt. In the ancient world salt was a valuable and scarce commodity. It was used as currency in some countries even into modern times. During an invasion of Ethiopia, in the late 19th century, Italian soldiers found blocks of salt stored in bank vaults along with other familiar forms of currency. Jesus was paying his disciples a compliment when he called them salt. An old man named Calvin had lived a good life as a farmer for years. One day an evangelist came to the community, and, in the course of his stay, visited Calvin and asked him what denomination he was. Calvin answered the question like this: "When my grain gets ready for selling, after I've harvested it and packaged it, I can take it to town by any one of three roads " the river road, the dirt road, or the highway. But when I get my grain to town and go to the buyer to sell him what I have, he never looks at me and asks, ˜Calvin, which road did you take to get your grain to town?' What he does do is ask me if my grain is any good." Friend, is your grain good - the grain of your discipleship? That's all that really matters. When we get to Heaven we will probably find some (Roman Catholics) and some (Baptists) and some (Presbyterians). And they'll be just as surprised to see us as we will to see them. But we will all belong to just one fellowship. Let's call it the Fellowship of the Bearers of Cold Water. We will all be people who have lived out our discipleship through acts of kindness to others. Ted Engstrom of World Vision fame tells how one day he was cleaning out an old desk drawer. He found a flashlight he hadn't used in a year. He turned it on but there was no light. He shook it, and then he unscrewed one end to release what were probably dead batteries. The batteries wouldn't come out, but finally, after some effort, he shook them loose. What a mess he found! Corroded batteries with liquid acid seeping all over the mechanism - all because he hadn't used the flashlight regularly! Batteries are designed to be turned on, to be used, not neglected or ignored. What you and I refuse to use we will surely lose. We're meant to he turned on, too. Our gifts are to be used! Our lives are not meant to be "waited out" but to be lived up! Are you and I living up to the gifts and talents God has given us? What kind of commitment do we have to ourselves and to the graces within us? I was in a small rural church one time that had a major dispute about where the pies should be placed in the kitchen prior to serving them for the annual turkey supper. One woman actually left the church community because several new comers to the church had convinced the rest of the women working in the kitchen that it would be more efficient to put the pies on the counter beside the sink instead of the counter next to the refrigerator. "It's not the right way to do it", she said. "We've never done it that way before, and I am not going to be part of doing it that way now. I won't have any part of that kind of thing. Those new people are going to ruin this church. They don't know anything. They aren't even from around here." 12) Sound familiar to anyone? The apostle John came up to Jesus one day. "Jesus", he said, "I was walking down the road with the rest of the disciples, and we saw someone casting out demons in your name. We tried to stop him because we don't know who he is; we tried to stop him because he's not one of us. 13) Are We Askew, Too? One pastor tells about listening to his father tell a story about a neighbor whose barn had burned down. The entire community gathered to help rebuild it. His father and some other men were told to saw the rafters. They first cut a rafter and then traced around it with a pencil and cut another one. They based the third rafter on the second the fourth on the third and so on. What they didn't take into account was the width of the pencil mark. Each rafter was one pencil mark wider than the one before. After a while, this can add up to quite a difference. By lunch time they looked at the barn and discovered it was going up at a very strange angle because they had deviated from the original standard. Do you not sense that our barn is a little askew today, too? In 1939, a coast guard vessel was cruising the Canadian Arctic when the men spotted a polar bear stranded on an ice floe. It was quite a novelty for the seamen, who threw the bear salami, peanut butter, and chocolate bars. Then they ran out of the food. Unfortunately, the polar bear hadn't run out of appetite, so he proceeded to board their vessel. The men on ship were terrified and opened the fire hoses on the bear. The polar bear loved it and raised his paws in the air to get the water under his armpits. We don't know how they did it, but eventually they forced the polar bear to return to his ice pad--but not before teaching these seamen a horrifying lesson about feeding polar bears. Queen Victoria and African chieftain – finger bowl…. According to an Irish legend, in olden days a group of adventurers set out from the European mainland in a few boats to conquer a new territory, what is believed to be the present Ireland. Their leader was a daring man of fortune who announced that whoever touched land first would possess the entire territory and become its king. One of his team members was named O’Neil who was determined to have the new land. He rowed mightily, but a rival boat pressed him hard, caught up with him and then outstripped him. What could he do as his rival was fast approaching the land? This strong-nerved, iron-minded O’Neil dropped his oars, seized battle-axe, cut his left arm, and threw it upon the shore over his rival’s head so that he could be the first to touch the land to make it his own. And he won the land by his heroic sacrifice. In today’s Gospel Jesus uses a similar metaphor asking us to cut off our hand if it causes us to sin and prevent us from inheriting Heaven. (Msgr. Arthur Tonne). Robert A. Schuller, young Robert, tells of getting into an argument with his older sister when he was eight. “’You’re a pig!’ he screamed when she refused to give him one of his own toys. Their dad, television preacher Robert H. Schuller, heard what was going on. He came into the room and said to young Bob, ‘Robert, don’t you ever call your sister a pig again.’ ‘But, Dad, she is!’ he objected. ‘If you call her a pig, Robert, you’re calling me a pig, too!’ said the older Schuller. Young Bob had to think about that for a while. He certainly didn’t think his dad was a pig. His father could tell that he didn’t fully understand what he was saying. ‘Robert, if your sister is a pig, then I’m a pig. She is my child! I can’t have a pig for a child unless I’m a pig. When you insult your sister, you’re insulting me, too. When you mock or belittle yourself, you’re doing the same thing to me. You’re my son. The same thing is true for you and God or for your brothers and sisters in the human race and God. When you belittle yourself, you’re belittling God. When you insult your neighbor, you’re insulting God.’“ Young Robert said he never forgot that lesson. [Robert A. Schuler, Getting Through What You’re Going Through (Nashville, TN: Thomas Nelson, Inc., 1986), p. 116.] It’s a lesson all of us need to learn. Can’t we all get along? We can, if each of us will open our hearts to the love of Jesus Christ. Once there was an ecumenical crusade that was being held in a large city. 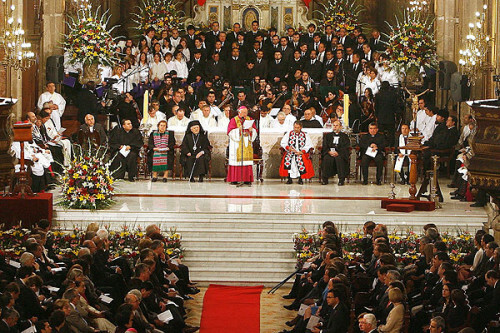 Every imaginable denomination was in attendance for this unprecedented spiritual event. During one very well-attended event a secretary suddenly rushed in shouting, “The building is on fire! The building is on fire!” At which point: The METHODISTS gathered in the corner and prayed. The BAPTISTS cried, “Where is the water?” The QUAKERS quietly praised God for the blessings that fire brings. The LUTHERANS posted a notice on the door declaring that the fire was evil. The ROMAN CATHOLICS passed a plate to cover the damages. The JEWS posted symbols on the doors, hoping that the fire would pass. The CONGREGATIONALISTS shouted, “Every man for himself!” The FUNDAMENTALISTS proclaimed, “It’s the vengeance of God.” The EPISCOPALIANS formed a procession and marched out. The CHRISTIAN SCIENTISTS concluded that there was no fire. The PRESBYTERIANS appointed a chairperson to appoint a committee to look into the matter and make a written report. And the secretary grabbed a fire extinguisher and put the fire out [The Catholic Digest (September 1992), p. 37.] It is amazing the multitude of different groups there are, all calling themselves Christian. And each one, of course, feels that it has a corner on the truth. God must get a good laugh out of it all! Some of our older members may remember a ridiculous, time-honored story about an old country preacher who had a teenage son. One day, while the boy was at school, his father decided to try an experiment. He went into the boy’s room and placed on his desk three objects: a Bible, a silver dollar, and a bottle of whiskey. “Now then,” the old preacher said to himself, “I’ll just hide behind the door here, and when my son comes home from school this afternoon, I’ll see which of these three objects he picks up. If he picks up the Bible, he’s going to be a preacher like me. If he picks up the dollar, he’s going to be a businessman, and that would be okay, too. But if he picks up the bottle of whiskey, he’s going to be a no-good drunkard.” Soon the old man heard his son’s footsteps as he came in the house. He watched as the boy walked over to inspect the three items on the desk. First, the boy picked up the Bible and placed it under his arm. Then he picked up the silver dollar and dropped it into his pocket. Finally, he uncorked the bottle and took a big drink. “Lord have mercy,” the old man whispered, “He’s gonna be a politician!” I guess we could say that, unless you’re going to be a politician, you are going to have to make some choices in life. Life is a matter of choices. Choices about how you spend your time. Choices about how you spend your money. Choices about what you think is important. 5) The “greatest moment in sports history” anyone has ever seen. The members of the opposing Central Washington University softball team did something that stunned spectators. Central Washington first baseman Mallory Holtman asked the umpire if she and her teammates could help Sara. The umpire said there was no rule against it. So Holtman and shortstop Liz Wallace put their arms under Sara’s legs, and she put her arms over their shoulders. The three players headed around the bases, stopping to let Sara touch each base with her good leg. The three-run homer would count. Here’s what’s amazing. Listen up all you sports addicts. This act of sportsmanship by the Central Washington team contributed to their own elimination from the playoffs. There was a price for their compassion, but still they did what was right. Sports writers around the country have hailed this event as the ultimate act of sportsmanship. Others have said it is the “greatest moment in sports history” anyone has ever seen. (Billy Strayhorn, http://www.epulpit.net/080810.htm.) I say it reflects a change that must take place in human hearts before God’s kingdom comes on earth, even as it is in Heaven. It was one of the most gripping news stories of 2003. In the beautiful but desolate mountains of southeastern Utah, a twenty-seven-year-old mountain climber named Aron Ralston, made a desperate decision. An avid outdoors man, Aron was rock-climbing one day when his right arm became trapped under a boulder, a boulder estimated to weigh at least eight hundred pounds. He saw immediately that he was in deep trouble. Unable to budge the rock at all, Aron took out his pocketknife and chipped away at the rock for 10 hours, managing to produce only a small handful of dust. Obviously, this was not going to work. Days were passing. No one knew where he was. Even worse, his family and friends were used to his going off for days without contacting anyone, so they were not even looking for him. With his arm still wedged beneath this enormous boulder Aron Ralston recorded a video message to his parents telling them good-bye. At the end of several days with no food or water, however, Aron made a remarkable choice. Aron Ralston decided to amputate his arm in order to save himself. And that’s exactly what he did, using only a pocket knife. What an amazing display of courage and determination! After he was finished, he applied a tourniquet to his arm and rappelled nearly 70 feet to the floor of the canyon. Then he hiked five miles downstream where he encountered some other hikers and was rescued. Aron Ralston made the obviously excruciating decision to amputate his right arm to save his life. It is an amazing story! Who can read this story without thinking of Jesus’ words from our lesson for today, “If your hand causes you to sin, cut it off. It is better for you to enter life maimed than with two hands to go into hell”? What a stark declaration. “If your hand causes you to sin, cut it off.” Aron Ralston certainly made a choice – to sacrifice his arm in order to save his life. There are choices that must be made in life, and those choices determine our destiny. If there are any chemists here this morning, you know that sodium is an extremely active element found naturally only in combined form; it always links itself to another element. Chlorine, on the other hand, is a poisonous gas that can stand by itself. Chlorine is what gives bleach its offensive odor. When sodium and chlorine are combined, the result is Sodium Chloride. What is Sodium Chloride? Salt. Common table salt. The substance we use to preserve meat and bring out its flavor. The substance we use to add spice to meals. Love and truth can be like sodium and chlorine. Love without truth is flighty, sometimes blind, willing to combine with various doctrines. On the other hand, truth by itself can be offensive, sometimes even poisonous. Spoken without love, it can turn people away from the Gospel. When truth and love are combined in an individual or a Church, then we have what Jesus called “the salt of the earth,” and we’re able to preserve and bring out the beauty of our faith. In Death Valley, there is a place known as Dante’s View. From this location you can look down into the lowest spot in the United States, a depression in the earth two hundred feet below sea level called Black Water. But from Dante’s View you can also look up to the highest peak in the United States, Mt. Whitney, rising to a height of 14,500 feet. In one direction you move to the lowest spot in the United States, in the other, to the highest. From Dante’s View, only the traveler can decide which direction he or she will take. [Maxie Dunnam, The Devil at Noon Day (Nashville: Thomas Nelson Publishers, 1996).] There are choices we must make. If you’re going to have a healthy spiritual life, there are choices you must make about the input you give your mind. If you’re going to have a healthy marriage and a healthy family, there are choices you’re going to have to make every day. 9) Can you be the new Telemachus? One person armed with the Gospel of peace can change the world. Telemachus did. Who was Telemachus? He was a monk who lived in the 5th century. And his story is a story of courage. He felt God saying to him, “Go to Rome.” He was in a cloistered monastery but he put his possessions in a sack and set out for Rome. When he arrived in the city, people were thronging in the streets. He asked why all the excitement and was told that this was the day that the gladiators would be fighting in the coliseum, the day of the games, the circus. He thought to himself, “Four centuries after Christ and they are still killing each other, for enjoyment?” He ran to the coliseum and heard the gladiators saying, “Hail to Caesar, we die for Caesar!” and he thought, “This isn’t right.” He jumped over the railing and went out into the middle of the field, got between two gladiators, and tried to stop them. The crowd became enraged and stoned the peacemaker to death. When the Emperor of Rome, Honorius, heard about the monk, he declared him a Christian martyr and put an end to the games. Legend has it that the very last Gladiatorial game was the one in which Telemachus died. Jesus said, “Have salt in yourselves – be at peace with each other.” Sometimes it seems we have gladiatorial games going on inside the Church, inside our homes, at work. And the games have been going on for as long as we can remember! Who will be a Telemachus? Who will be the monk who jumps into the arena, sacrifices himself, and brings peace? Peace can be made but it sometimes comes at a heavy price. Here is an interesting statistic: The Society of International Law, in London, observed that during the last 3,550 years of recorded history there have been only 268 years of peace. That means that since the beginning of recorded history, the entire world has been at peace less than eight percent of the time! What is even more interesting is that during this time in excess of 8000 peace treaties were made — and broken. My friend, that represents a lot of turf wars. Why do we not have peace in our life? Because, at any cost, we fight to protect our turf, and we fight to get the turf of the other fellow. 11) USA flag on a Russian ship! Some time ago there was an interesting story about whales that were trapped in the ice off the coast of Alaska. These whales swam in the cool waters of Alaska so long that they missed the last plane to Hawaii! They were completely enclosed by the deepening ice. Some people saw their plight and tried to rescue them by sawing through the ice, but they were unsuccessful and called for additional help. The United States Navy sent in a ship to rescue the whales. That, too, failed. Finally, a Soviet ice­breaker was asked to plow through the ice allowing the whales to swim out into the open sea. This was in American waters, and thus, before the Russian ship started its work, a United States of America flag was raised on its mast. People, especially the Press Corps, could hardly believe it! Here was a USA flag on a Russian ship! A whale was used to bring two countries, often at odds with each other, together for the sake of rescue. [Eddie Fox & George E. Morris, Let the Redeemed of the Lord Say So! (Franklin, TN: Providence House, 1999).] It’s interesting. God also used a whale to get the attention of the prophet Jonah. As you’ll remember, Jonah was prejudiced against the people of Nineveh. He wanted God to destroy the people of that city. And then God sent a whale . . . and then a gourd . . . and then a worm. Finally Jonah got the message. It’s a message we still need to hear. All the world’s people belong to God. God loves us all the same. God’s will is liberty and justice for all the world’s people. But here is what we also need to realize: there will not be peace in the world until each of us resolves to live out the message of Christ’s love in our own family and neighborhood. If you and I cannot love one another, there is no hope for the world. Some of you are familiar with superstar singer Mary J. Blige. Blige is a three-time Grammy Award-winning rhythm & blues and hip-hop soul singer, songwriter and producer. She has had several #1 songs. Many people regard her as today’s queen of soul. Mary J. Blige has changed her image significantly over the course of her career, and she credits much of that change to her newfound faith in Jesus Christ. Blige claims that her early years in show business were marred by heavy alcohol and drug abuse. She projected an image of toughness, but inside she was hurting. One day, Blige read an interview with superstar Beyonce in which Beyonce spoke of her love for her mother and father. Blige found herself crying over the desire to experience that kind of love. In recent years, after giving her life to Jesus, Mary J. Blige is able to say, “It was later, when I gave my life to Jesus Christ, that I found out who I am. I’m a child of God. God is my mommy, my daddy. That’s the only thing that’ll keep my head up. If I don’t remember who I am in him, I’m done.” [“Oprah Talks to Mary J. Blige,” O, The Oprah Magazine (May 2006), p. 243.] It was important for Mary J. Blige to find Jesus. What difference does it make whether I become one who really is affected by Christ’s presence in my life? Mark from Wisconsin wrote in to his newspaper with this most ironic story: He stopped by a pet store one day to look for a bird. As he entered the store, he noticed a strange rustling noise coming from the back. In the back of the store was a large cage with a sign underneath it advertising “Sacred Doves of Peace.” And in the cage were two white doves . . . beating each other to a pulp. [Life As We Know It, edited by Daniel Kelly (Kansas City: Andrews and McMee, 1996), p. 32.] I would like to say that is the way of the world, but it has often been the way of the Church as well. It reminds me of a proposal made by the Mennonite Church a few years ago. The Mennonites historically have been a Church that advocates peace. Here was their proposal: Can’t we agree that, as Christians, we at least won’t kill other Christians? The reference was to Catholics and Protestants in Northern Ireland. Liberals objected that this proposal makes it sound okay to kill Muslims or atheists or Hindus, which of course isn’t the point. Conservatives protested that this proposal might make war impossible. And hell is serious business. Psychiatrist Karl Menninger [What Ever Became of Sin? (New York: Hawthorn Books, 1973)] notes that American Presidents used to mention sin once in awhile, but that none has done so since 1953. The Republicans refer to the problems of “pride” and “self-righteousness.” The Democrats refer to “short-comings.” But no one uses the grand old sweeping concept of sin anymore. Thus, it seems, we as a nation stopped sinning sixty-five years ago! And, speaking of politics: a poll on Heaven and Hell in the Des Moines Register awhile back found that only one Republican in 35 expects to end up in Hell, whereas one Democrat in nine assumes he will. I am not sure what that means. It may mean that it does little good to preach hellfire and brimstone to a congregation that is filled with people who don’t believe there is a chance in hell that they will end up there. And that reminds me of Mark Twain’s famous statement. He said that when he died, he would like to go to Heaven for the climate but would probably prefer Hell for the companionship. Mark Twain was clever and witty, but he missed the point. Sin isn’t fun. Sin is hell. And hell is serious business. When you do it, it’s nerves. when you are, it’s just being firm. when you don’t like his, you are simply showing good judgment of human nature. when you take forever, you’re being deliberate and careful. 16) Ecce Homo – Behold the Man! A few years ago, at the Seattle Special Olympics, nine contestants, all physically or mentally disabled, assembled at the starting line for the 100-yard dash. At the gun, they all started out, except one little boy who, tumbled, and began to cry. The other eight heard the boy cry. They slowed down, then all turned around and went back……every one of them. One girl with Down’s syndrome bent down and kissed him and said, “This will make it better.” Then all nine linked arms and walked together to the finish line. Everyone in the stadium stood, and the cheering went on for several minutes. People who were there are telling the story. Why? Because deep down we know this one thing: What matters in this life is more than winning for ourselves. What matters in this life is helping others win, instead of becoming jealous, even if it means slowing down and changing our course. (Fr. Botelho). 20) Send him to hell! O Henry, the master storyteller, once wrote a story about a woman whose mother had died when she was a little girl. When the father came home from work the little girl would ask him to play with her. Her father would tell her that he had no time and that she should go out into the street and play; then he would light up his pipe, take off his shoes, put his feet up and read the newspaper. By the time the little girl grew up, she was used to the streets, and made her living there. When she died, St. Peter looked up to Jesus and asked, “I suppose we send her to Hell?” The Lord said, “No she deserves Heaven. But go down to earth, look for that man who refused to play with her when she needed him, and send him to Hell because instead of training his daughter by good examples he ruined her life by bad example!” (Harold Buetow in God Still Speaks: Listen! Quoted by Fr. Botelho). In 1939, a coast guard vessel was cruising the Canadian Arctic when the men spotted a polar bear stranded chocolate bars. Then they ran out of the food. Unfortunately, the polar bear hadn’t run out of appetite, so he proceeded to board their vessel. The men on ship were terrified and opened the fire hoses on the bear. The polar bear loved it and raised his paws in the air to get the water under his armpits. We don’t know how they did it, but eventually they forced the polar bear to return to his ice pad–but not before teaching these seamen a horrifying lesson about feeding polar bears. Some people make the same mistake with sin that these sailors nearly made with the polar bear. That is why Jesus gives the strong warning about the surgical removal of sources of temptation in today’s Gospel. (Sermons.com). Fr. Kayala. Each of the readings for today’s liturgy invites the gathered assembly to shatter this profile and shake itself free of its “one book mentality” by becoming more aware and appreciative of the Spirit of God at work in others, even in those we least expect. (Sanchez Archives). Someone once told the following story as an illustration of the difference between charity and social justice: A huge boulder rolled down a mountain and landed in the middle of a narrow, curving roadway. An approaching car rounded the turn and crashed into the boulder. Families living nearby rushed to rescue the injured passengers, brought them into their own homes and tended to them until they were well. That’s charity. Not too many weeks later, another unwitting vehicle collided with the boulder and the families took them in and cared for them also. That’s charity. Within a month, still another carload of travellers hit the boulder. After seeing to the needs of the accident victims, the people in the area got together to decide how to get rid of the boulder. That’s social justice. When James, in today’s second reading, called upon the rich to attend to the needs of the poor, he was not recommending charity; he was demanding social justice. He was not pleading with the wealthy to dip into their surplus in order to throw a few crumbs to the needy. James charged the rich to give the poor what was their due on two counts. First, as members of the same community, all were, therefore, responsible for the well-being of one another. If one was in need, those who had the means to help were bound, by the Christian law of love, to do so. Second, that which was being withheld from the poor were their just wages. To refuse to pay the farmhands who had harvested the fields was not only an act of injustice, but it was an affront to God who is ever alert to the cries of the poor. (Sanchez Archives).